Unfortunately Wado Academy membership will have to increase from £25 Senior and £17 junior to £26 Senior and £18 junior as from 1st October 2015. 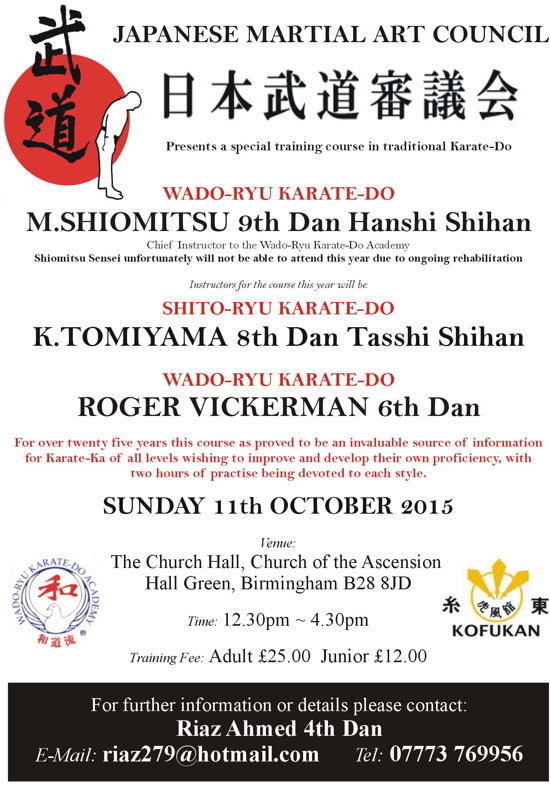 This is due to the EKF (English Karate Federation) increasing individual registration by £1 per student from that date. All new applications and renewals received on or after 1st October 2015 will be subject to the new rate.